Give Nails A New Year Kick With The 8-In-1 Base Coat! The fun, festive season has been and gone and now it’s time to get back on track with that healthy lifestyle. As well as eating right and exercising, it’s also important to keep your nails healthy and we’ve got just the thing to help! We’ve developed the ultimate base coat for all your favourite lacquer shades to meet the strict demands of the red carpet glamour with this antioxidant rich lacquer base coat. This 8-In-1 Base Coat instantly adheres to the natural nail giving any polish the perfect base. Argan and Baobab oils absorb into nails to maintain their wonderfully smooth feel. 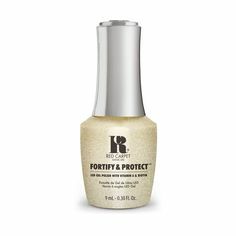 The 8 Benefits include: Base Coat, Strengthens, Restores, Hardens, Protects, Smooths, Conditions and Increases Wear. Apply the 8-In-1 Base Coat to bare nails twice a week. 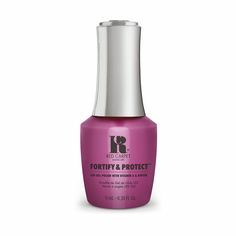 NOTE: This 8-In-1 Base Coat is to be used with nail lacquer only, NOT gel polish.